The Water Environment Federation has begun accepting applications for its water leaders program. As the water sector faces challenges from aging infrastructure, climate change, financial constraints and increased demands, professionals who can develop and implement solutions to these issues are needed. The WEF Water Leadership Institute is designed to encourage innovation, entrepreneurship, and professional commitment from those individuals who will be leading the water sector in the coming decades. All professionals in the water sector, including utility staff, consulting engineers or service providers, are encouraged to apply. Applications must be submitted by Thursday, January 31. Participants in this program will engage in management training and leadership development through a blended learning approach that includes the examination of complex challenges facing the water and wastewater industries and networking with public and private sector practitioners. The OIG recently concluded an 18-month evaluation of the federal biosolids program and released its report on November 15. 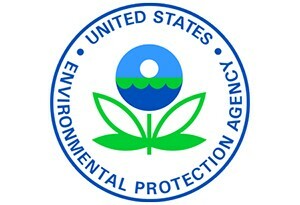 The OIG, an independent unit within the United State Environmental Protection Agency, performs audits and investigations to detect and prevent fraud, waste and abuse. The report is titled: “EPA Unable to Assess the Impacts of Hundreds of Unregulated Pollutants in Land Applied Biosolids on Human Health and the Environment.” This alarming headline suggests inflammatory intent, which is not scientifically supported in the report. The USEPA does not agree with OIG’s main findings in the report and continues to support the land application of biosolids as a safe and sustainable practice and a beneficial recycling program. CASA and the broader wastewater sector also have significant concerns with the OIG report, specifically statements that appear inaccurate and seemingly biased. CASA has been working proactively with our members as well as with regional and national biosolids and wastewater associations to craft an appropriate response. CASA expects to have a FAQ document, currently being prepared by SFPUC, and a letter to the OIG released later this week. Both of these documents will be signed by state, regional and national associations and will be distributed through the biosolids listserv and posted on the CASA website. For questions and more information, please contact Greg Kester at gkester@casaweb.org. Earlier this month, the Public Policy Institute of California released a new report with several sections focused on California’s Water. While the overall report’s focus is geared more toward drinking water issues, it spotlights several interesting wastewater challenges related to energy, climate change, and rates for services.